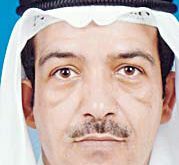 KUWAIT CITY, Oct 20 (KUNA): Special Forces officers who have been assigned for the protection of Hussainiyat and their visitors have received instructions to shoot any armed individual seen in areas surrounding Hussainiyat. According to security sources, these instructions were issued after security authorities observed suspicious movements near some Hussainiyat. 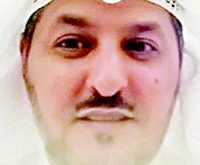 An Indian expatriate was recently arrested in Salmiya area for taking photographs of a Hussainiya in the area. In addition, investigations are ongoing with a volunteer who reported seeing an armed individual inside a pickup van in the parking area of a Hussainiya. 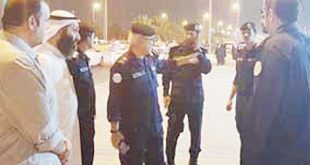 The sources revealed that the concerned authorities have increased all security and inspection procedures in all Hussainiyat to ensure complete protection during all ceremonies of Ashoura. 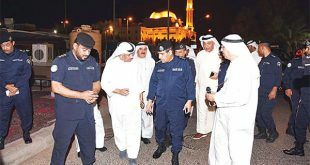 They explained that securitymen arrested an Indian expatriate on Monday night for taking photographs of a Hussainiya in Salmiya area. 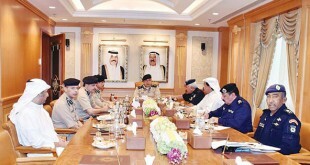 In his mobile phone, they found a number of photographs of the Hussainiya and the nearby buildings. 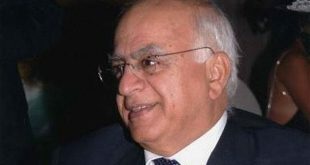 They also discovered some calls he made through WhatsApp application to accounts with names such as ‘Hezbollah’, ‘Olamaa Saadati’ and some others in Indian and other languages. 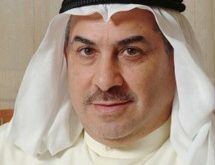 Meanwhile, Director General of Weapons Investigation Major General Faraj Al-Za’abi affirmed that the State of Kuwait is one among the Arab countries that launched several campaigns for confiscating illegal weapons. 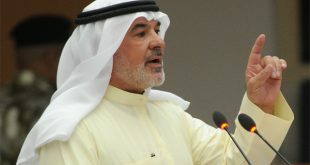 In a statement to KUNA on the sidelines of a meeting held in Tunisia with the team in charge of allotting an Arab strategy for controlling the spread of weapons in the Arab region, Major General Al-Za’abi explained that Kuwait’s Ministry of Interior activated Law no 6/2015 on June 22, 2015 for collecting unlicensed weapons. 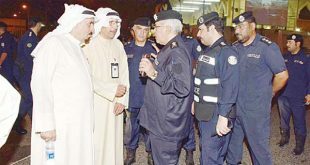 The ministry, after carrying out inspections and launching several security checkpoints, obtained warrants and raided the houses and dens of individuals who did not hand over the unlicensed weapons in their possession. The ministry registered 57 cases in the last three months and arrested more than 60 suspects who were referred to the Public Prosecution because they failed to deliver their unlicensed weapons voluntarily during the grace period. 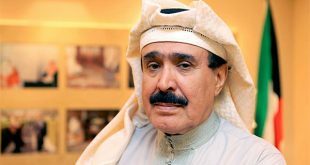 Major General Al-Za’abi further explained that Kuwait launched its first campaign for collecting weapons in 1992 which lasted for two years. 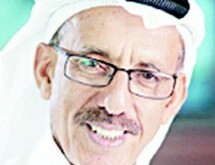 During that period, the ministry collected 26,000 illegal weapons. It launched its second campaign in 2005 and collected over 10,000 weapons. In the currently ongoing campaign, the ministry has managed to collect 7,000 weapons so far and has provided licenses for 6,000 weapons. According to sources, the Special Forces do not want to take anything into chance as memories of the suicide blast that killed 27 at a Shia mosque are still fresh. 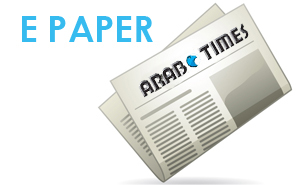 It would be recalled that on June 26 this year an Islamic State suicide bomber struck a Shia mosque in Kuwait City during Friday prayers killing 27 and injuring scores of worshippers.